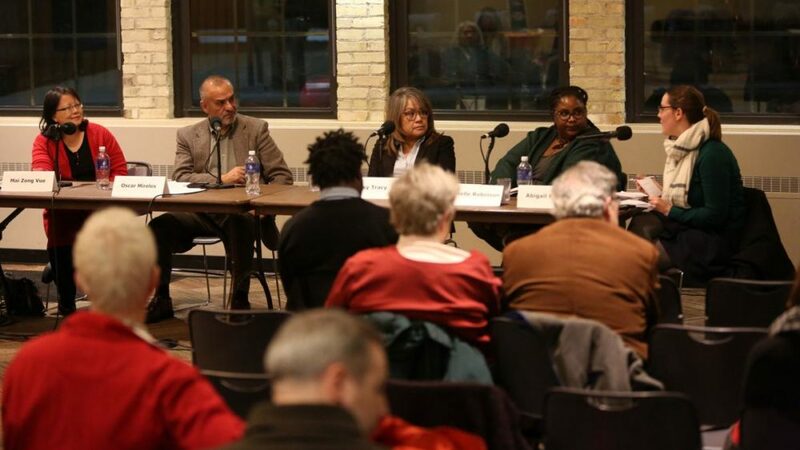 Michelle Robinson, a research, data and policy associate with the Race to Equity project, said she’s noticed that local residents don’t often know how people of color fit into Madison history. “One thing I recognized quite early since I’ve been living here is no matter how long you reside here, if you’re a black person or a person of color in general, you’re a chronic outsider,” she said. The invisibility of people of color and historically unrepresented groups in Madison’s history was the major theme of a Cap Times Talk on historical preservation on Wednesday night at the Goodman Community Center, which Robinson was a part of. The talk, called “What should Madison commemorate that it hasn’t already?”, came at a time when historic preservation has been a hot topic in the city. This year, members of City Council grappled with whether to remove a stone monument at Forest Hill Cemetery memorializing confederate Civil War soldiers. Some members of the community had condemned the monument as a barrier to inclusion in the city, given the racist history of the confederacy. The talk also comes as the city continues work on its Historic Preservation Plan, an effort by the city to improve its record on commemorating the history of historically unrepresented groups. 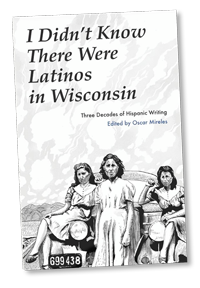 Madison poet laureate Oscar Mireles said the city has done a good job commemorating history in certain ways. said he thinks Madison has done a fine job celebrating its history in some ways. 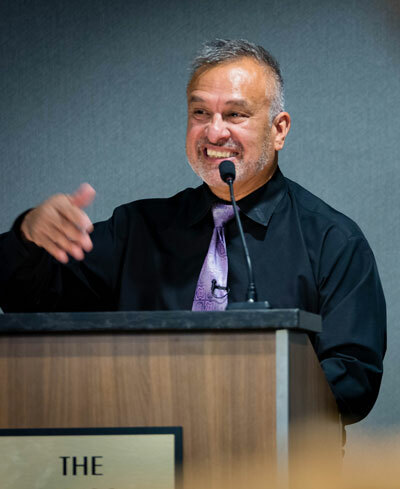 Oscar Mireles, executive director of the Omega School and Madison’s poet laureate, was another member of the panel. He said he thinks Madison has done a fine job celebrating its history in some ways. “I think they’ve done a great job in the classical sense of how you identify buildings of significance,” he said. The participants in Wednesday night’s talk each offered up examples of the kinds of people, places and events they felt merit commemoration that have gone overlooked.